The world of civilian defensive firearms training is currently moving through a period of incredible evolution and progress. Through careful analysis of defensive shootings via video footage, interviews with gunfight survivors, research of violent criminal behavior, and new scientific findings on physical stress responses, we now have a better understanding of exactly what wins gunfights than ever before. We also have a plethora of experienced and dedicated instructors willing to pressure-test what we are learning. They are protecting the practices that need to remain, but also alerting of areas where we might need to start making changes for the edification of the community and our defensive craft. This was not always the case. Not long ago, much of what passed for self-defense training was based on guesswork and anecdotal evidence. But despite the wealth of knowledge we’ve now accrued, certain flawed practices and beliefs are still widely accepted within the firearms culture. They just refuse die. I recently spoke with 11 respected experts and instructors in the defensive firearms community to get their take on which of these ideas and myths they believe are the most damaging. Here’s what they had to say. 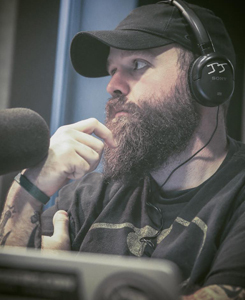 Who: Rangemaster Advanced Handgun Instructor, writer, and host of Ballistic Radio. Myth: Any hit on the body is better than no hit. There’s a whole host of classes, blogs, and training schools that teach what is commonly referred to as “combat effective hits” — “combat accuracy” for short. It’s the idea that any hit with a handgun bullet, despite location on the body, is considered adequate for stopping an attacker in combat conditions. The human body is surprisingly resilient and when a violent attacker absorbs gunfire, they only stop attacking under very specific circumstances. Either they have suffered a hit to the central nervous system (CNS), lost enough blood from wounds to major blood vessels to lose consciousness, or the individual chooses to stop. Only two of those methods are physical, and the target areas on the body that produce those involuntary physical stops are small– rougly covering a 4″x6″ vertical rectangle high on the chest over the heart and major blood vessels, and a 3″x5″ horizontal rectangle over the eye and nose which sits in front of the brain and the seat of the CNS. Shots outside of those zones (and even some shots inside of those zones) cannot be counted on to stop a determined attacker. There is a belief that it isn’t possible to achieve that kind of accuracy under stress, but Johnston disagrees with this, too. 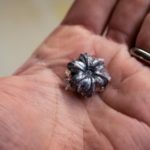 “Hold people to a high accuracy standard and don’t expect anything less than that, and that’s what they’ll do.” If the target areas needed for a physical stop aren’t exposed, Johnston also believes people need to have the accuracy skills to put rounds on whatever is available, be it a foot or arm. 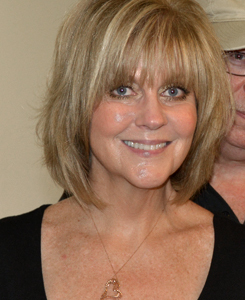 Who: Author of several books and countless articles on self-defense and the legal aspects of deadly force. 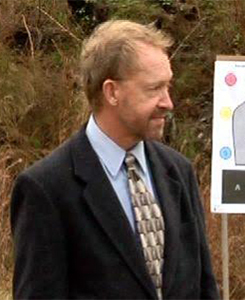 Lead instructor for the Massad Ayoob Group. Myth: Don’t draw the firearm until you need to shoot. 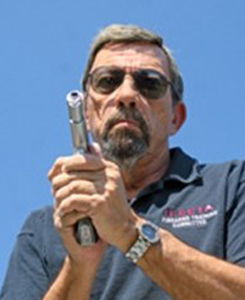 It doesn’t matter where you go on the internet, or even in some classes — when it comes to discussions about when it’s time to draw your firearm in self-defense, a common quip is, “Never pull your firearm unless you intend to shoot.” Massad Ayoob believes that may be too late in select circumstances. However, Ayoob reminds us that drawing a firearm without justification will likely lead to being charged with felony aggravated assault with severe prison times. Even if you’re successful in deterring the escalation of violence with the presence of a firearm, Ayoob recommends immediately calling law enforcement and establishing yourself as the victim. Criminals often don’t appreciate the role reversal and want to paint themselves as the victims. 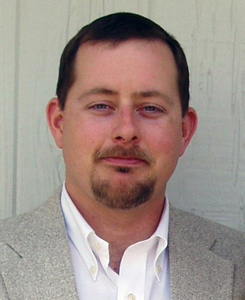 Who: Research analyst, former Chief Instructor for Rogers Shooting School and author of The Tactical Professor. Myth: Skill is more important than critical thinking. When asked which practice he would like to see eradicated from the self-defense community, Werner spoke of instruction focused on producing skilled shooters rather than thoughtful shooters. As an example, teaching pistol manipulation above the fundamental level without introducing decision-making and context into the process. Striving to develop automaticity, or “muscle memory,” without considering the gravity of the Shoot/Don’t Shoot decision is a mistake, in his opinion. When people buy a gun, or any other type of weapon, Werner explains, they are often thinking about the tool itself, something they can hold in their hand. “It’s easy to become focused on that because it’s a tangible,” he says. But the software – the knowledge and skills that enable safe, effective, and legal use of the tangible tool – is a lot harder to sell because they’re intangible. “Self-defense is as much of an intellectual process as it is a physical process” according to Werner. Just as we provide weapons to people as tools, we also need to provide intellectual tools for their appropriate usage. “Having our training processes driven by the now discredited ‘Hick’s Law’ does a disservice to our students,” he says. Challenging students both philosophically in the classroom and in the Shoot/Don’t Shoot decision on the range should be incorporated in the training process early on. By asking students to think about what they are willing and able to do in a defensive situation gives them a better chance at arriving at the right decision for their circumstance. Who: Law Enforcement Officer with a Master’s degree in Criminal Justice–Research Methods, and developer of the DVC target system. Myth: High levels of performance are not possible under stress. It’s no secret to anyone that high levels of firearms performance are obtainable. 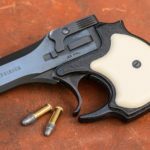 Even outside of the likes of Bob Vogel and Jerry Miculek, we often don’t have to go far to find someone we consider to be impressively skilled with a handgun. Some, however, believe that such performance standards are impossible under the conditions of a life-threatening self-defense encounter. It’s commonly thought that the addition of life-threatening stress decreases the eyes’ ability to see handgun sights, eliminates fine motor skills that allow people to operate many of the controls on their firearm, and makes it impossible for people to perform at a high skill level. This leads to the assumption that when placed under the stress of a violent attack, humans all revert to gross motor skills and erratic, panicked, unsighted fire. According to John Hearne, that’s not necessarily true. 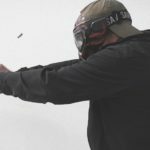 He’s spent a good portion of the last few years researching performance under stress and points out that not only is it possible to maintain shooting skills under high-pressure scenarios, many people have already done it. “Once we can point to examples where that is possible, then we can bring it into the realm of achievable,” Hearne says. He rattles off a list of names like Lance Thomas, Jim Cirillo, and agencies like the metro division of the LAPD, who’s officers have a high hit rate per shooting incident and report using their sights. That work, according to Hearne, starts with a baseline level of skill that demands accurate hits within a 4×6 rectangle on high- center chest of a target within seven yards and then melds speed with that accuracy. “You can’t separate speed from accuracy,” says Hearne, while stressing that the ability to deliver that skill under stress is far more important than the skill alone. 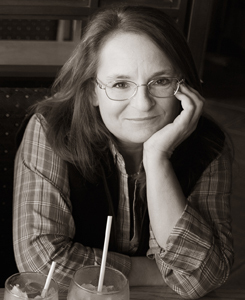 Who: Editor and writer of several magazines and books, professional firearms instructor and author of Cornered Cat. Myth: Choosing the right firearm can replace the need to learn how to use a firearm. If you walked into any number of gun stores across the country and asked for advice on a self or home-defense firearm, you may get a kindly gentleman who points to a bunch of shotguns on the wall and claims you don’t have to learn how to use them in order to use them effectively. You might get the same advice about the ease of a revolver or Glock. Jackson believes the advice is given and received out of a type of denial that self defense requires both work and skill. This is especially pervasive among people who buy firearms for family members that have shown no prior interest in shooting. The assumption is that not only will they not learn how to use that firearm, but that they will never want to learn how to use them. Jackson’s desire is that we would replace that assumption with the idea that anyone looking for a gun would also be looking for instruction on how to use it, that guns would be sold along with training classes, and consumers would seek out instruction at the same rate they sought out firearms. 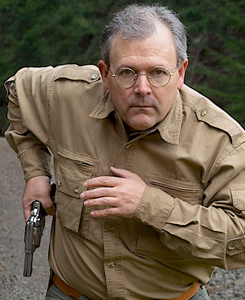 Who: Author of several books on firearms and their defensive use, instructor and writer behind GrantCunningham.com. Myth: The gun is all there is to self defense. There often seems to be a sense of great relief when someone purchases their first firearm for self defense, like they have taken care of something important. Unfortunately, for some people, their self-defense preparations end with the completion of their ATF form 4473 or the acquisition of a carry permit. The gun becomes the entirety of their self-defense plan. Grant Cunningham believes that’s a mistake. “Everybody teaches self-defense from their own point of view, and they need to widen their point of view,” says Cunningham about trainers who focus primarily on gun training. The same is true of students who only ever seek out gun training and neglect other, more likely, areas of necessary preparation. 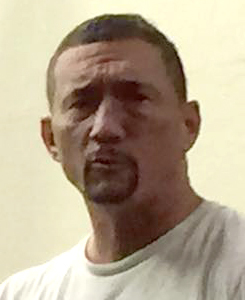 Cunningham believes this over-reliance on firearms is due, in part, to a misunderstanding and ill-defined distinction between what is fun and what is useful in self-defense. “Every year in this country, tens of thousands of people defend themselves without any firearms training whatsoever. If that’s the case, how much is really necessary?” Cunningham asks. If self-defense is the true, intended goal, Cunningham believes skill development needs to be broadened beyond the use of a firearm. “If self-defense is about keeping ourselves alive and healthy,” Cunningham says, “We probably need more medical skills than gun skills.” He goes on to advocate avoidance skills, home security, and emergency planning, social skills, and changes in lifestyles and habits that may be confrontational or put one in harms way. He advocates learning how to use a flashlight, deal with contact fights, and manage distractions in public as great places to start. 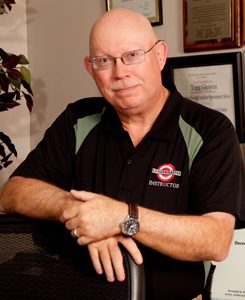 Who: Retired Law Enforcement Officer, owner and lead instructor of Rangemaster Firearms Training Services. Myth: People cannot perform under stress. Echoing John Hearne, Tom Givens also believes that high levels of performance under stress are possible, particularly where using sights is concerned. He points to the LAPD’s Metro Division as an example due to their high hit ratio in actual shootings. “They heavily stress sighted fire, and their officers use it in real fights, quite successfully,” Givens says. 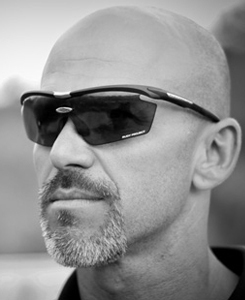 Who: Retired undercover narcotics officer and lead instructor for Shivworks. No instructor worth visiting will deny that one of the hardest parts of training defensive shooting is bridging the gap between a skill learned on a range and being able to apply that skill in a fight for one’s life. 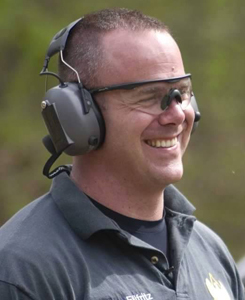 Many trainers attempt to bridge that gap with pre-programmed responses that students are asked to perform after every string of fire at the range as though they just fired their gun in a real event. These responses can take the form of extensive visual scans for additional threats or phrases people are to yell or other specific responses meant to get the student in the mindset of an actual deadly encounter. However, many students will go through the motions without knowing why or can’t articulate why that movement applies to the situation immediately in front of them. They fail to demonstrate the real-world mindset that the rehearsed response was intended to facilitate in the first place. Who: Advanced Handgun Instructor and assistant instructor for Rangemaster Firearms Training Services. Myth: Women have to be treated like small children in defensive firearms training courses. In order to cater to what is seen as a growing market of women coming into the training industry, ladies-only classes are on the rise. They are advertised as specifically addressing women’s needs, but these classes are seen by some, like Lynn Givens, as dumbing down their information, standards, and expectations. “I have attended ‘Ladies Only’ courses in which the instructor literally spoke to the students as if they were third graders,” says Givens. The concepts of self-defense and use of a firearm are universal for men and women, with small adjustments for those with small features, be they men or women. Givens also believes the idea that women need classes tailored specifically to them sends the wrong message, one in which we undermine the seriousness of self-defense. “There is nothing more brutal than having to defend your life or the life of a loved one,” she says. Who: Owner of I.C.E. Training Company, author and Developer of the Combat Focus Shooting Program. One does not have to be in the shooting community for long before they start to get asked about their times. Timed drills are widely distributed, practiced, mastered, and sometimes even put forth in defensive shooting classes as tests or standards for completing the class. Rob Pincus believes that the emphasis must go. “[Timed drills] only measure skill performance, not skill application,” says Pincus. Pincus goes on to describe a drill wherein the number of shots are given, the course is carefully laid out in front of the student, the student is allowed to memorize the pattern of movements he may take to complete the course, given a stand-by command, and is not forced to process any new information. “Putting too much importance on student performance in choreographed, predictable, and repeated timed drills skews technique, training, and gear selection as well as training resource expenditure towards what is essentially a game,” says Pincus. When asked about alternative methods of training, Pincus advocates drills with multiple variables that must be processed during the event, challenging shooters to apply their skills on demand. Who: Full-time police officer and lead instructor for Active Response Training. Myth: A cult-like devotion to a single instructor or training school. You don’t have to go far in the training industry before you run into a fanboy or two: an individual who identifies with a particular instructor or school and spends all his training time and efforts following them. Greg Ellifritz believes students aren’t reaching their full potential when they devote themselves to a single instructor or school. Despite the fierce sense of loyalty some students have, Greg has not seen many quality instructors attempting to foster that in their students. On the contrary, he advocates cross-training with others in the industry in other branches of self-defense and sees other instructors doing the same. He believes that builds a more comprehensive picture of self-defense and encourages business.